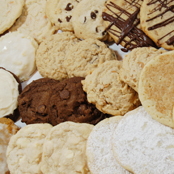 An inexpensive and classy way to say "Thank You", or "Congratulations", our unique cookie gift boxes are a Special Tee Cookies gift guaranteed to be enjoyed "taste...fully". 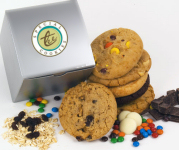 Conveniently gift-boxed, these delicious gourmet cookies will help to sweeten the day of a friend or coworker. Maybe they’ll share!